All about grilling with original recipes from a chef team couple. Thank you for visiting Great-Grilling.com. Our site has original grilling recipes with everything from grilled vegetables, grilled seafood, tri tip and Santa Maria style BBQ to smoked prime rib and everything in between. And of course grilled and BBQ ribs! 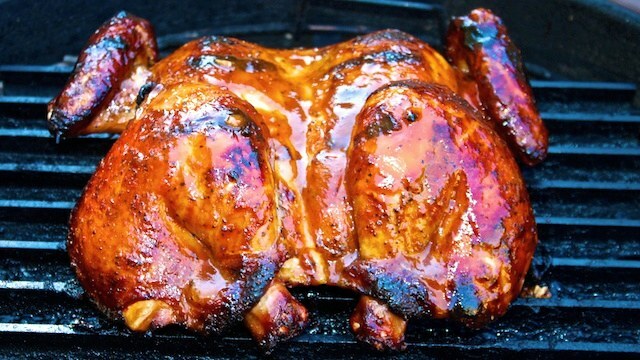 We put up our best grilling recipes for you to try and enjoy. 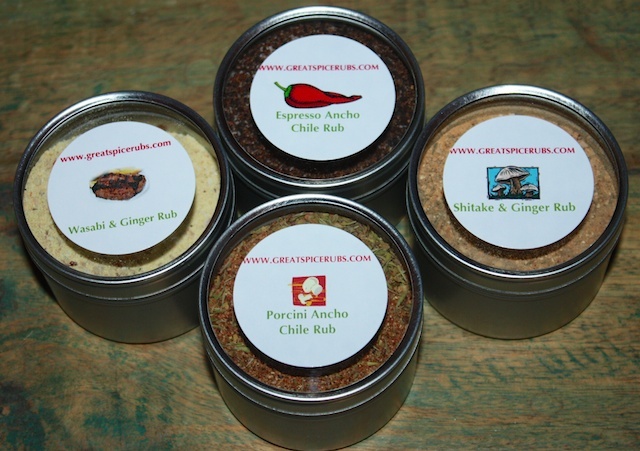 Looking for a great gift for the Chef in your family? 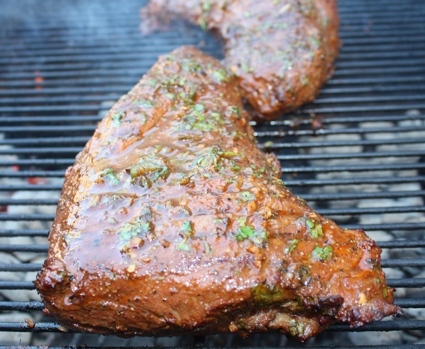 Try these Delicious Tri Tip recipes! the best recipe for gas grills? We love food and lighting up the grill is a favorite way to cook. 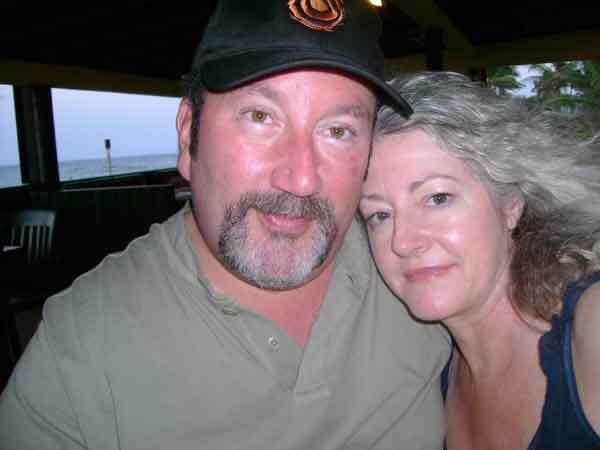 Randy is an award winning chef and Rainee, his “foodie” wife with whom he has spent thirty year plus sharing the kitchen.We are online from California's central coast and the Paso Robles wine country! If you have not been here, make this area a part of your trip to California. If you are a Californian, then come and see this beautiful part of the state, plus check out all the great food and wines of the area. If you are looking for simplicity, we have great easy and simple recipes. We have come across certain tips and products that streamline your job and we have some killer recipes that are quick, healthy, and easy. We love our seafood and have nice easy recipes for excellent grilled fish dinners. 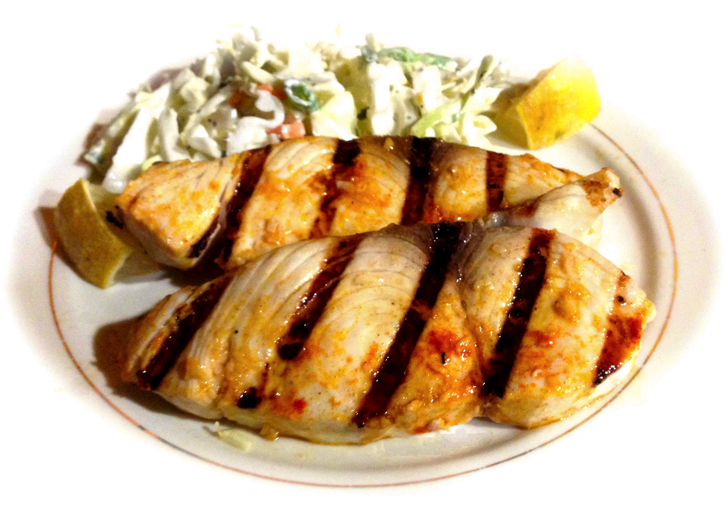 Check out our Grilled Ono Recipes! 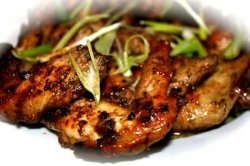 If you are looking for great entertaining recipes, we have those too. 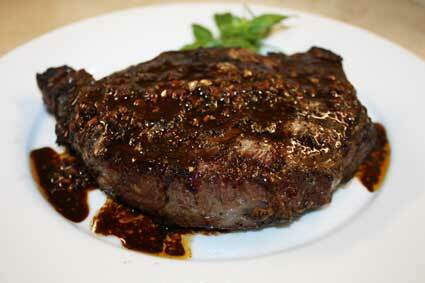 Check out our Smoked Prime Rib recipe or maybe some Baby Back Rib recipes. 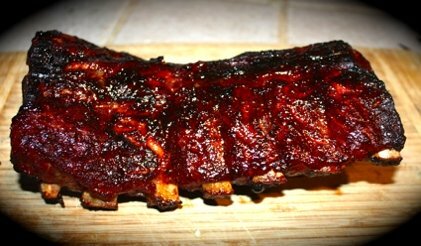 Chipotle Lime Baby Back Rib Recipe pictured below. Having been trained in classical French and Chinese cusine and worked in the hospitality industry in some wonderful places, we have influences from all over in our recipes. 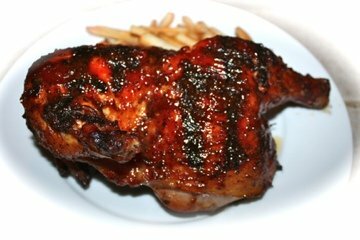 Try our Hawaiian Huli Huli Chicken recipe adapted for the home grill! Or how about our Pork Baby Back Ribs Dai Fao, Chinatown style! 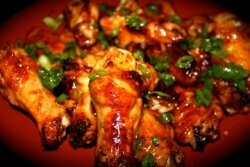 Jerked Chicken Wings and Sriracha Chicken Wings featured on CNN Grill Masters!. Rainee wanted me to be sure to feature some of our grilled vegetable recipes too. 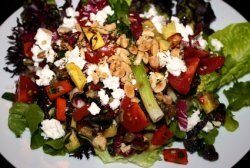 Check out our Grilled Artichokes or Grilled Vegetable Salad! Our grilling equipment reviews are honest and not biased and are our actual experience. If we do not believe in a particular piece of equipment we will not endorse it or sell it. We do list some great equipment and products, from quality vendors. How to Tips - How to BBQ - How to Clean a Whole Beef Tenderloin etc. We hope that you enjoy our website. A couple of thoughts regarding our recipes, photography and recipes. These are all rustic home recipes, actually our dinners. We are not using food stylists, buying lots of photos or making ten of the same plate each time. Check back to see what's new as we add new recipes or like our Facebook page. Turkish recipes, try a great Turkish recipe for the grill, Turkish Chicken Kebabs with a wonderful yogurt marinade and sauce. Super Bowl Appetizers & Game Day Grilled Appetizers you are in the right place! 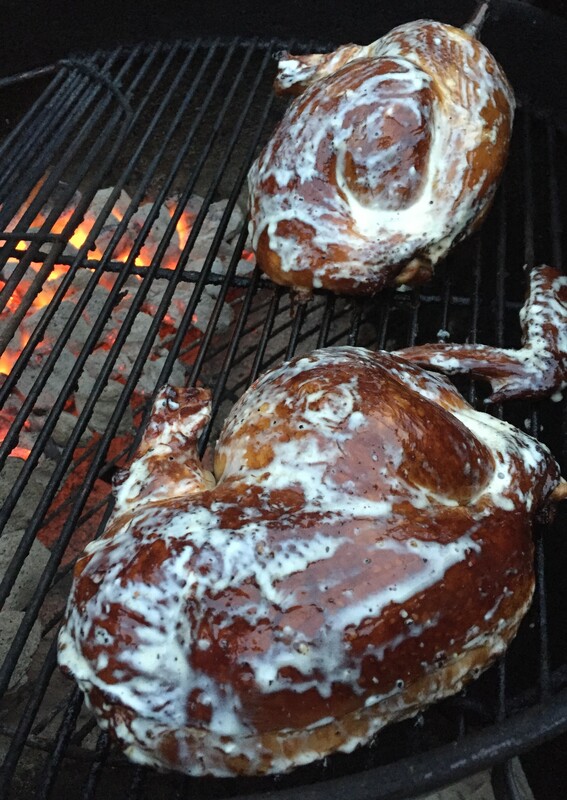 Alabama Chicken with White BBQ Sauce you must try this great regional BBQ recipe!